Hotel offers deluxe accommodations, free wireless high-speed Internet access and free continental breakfast. 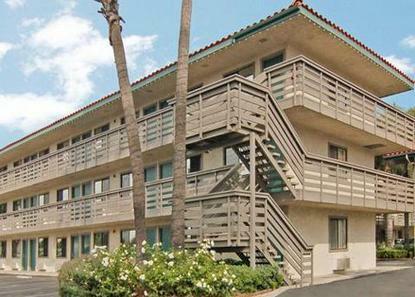 Hotel is located on Harbor Blvd at the 91 Freeway, minutes from the Anaheim Convention Center, Arrowhead Pond, Edison Field, Disneyland and Disney's California Adventure. Accommodations include 119 rooms with double/double and king rooms. Just one block from the Orange Fair Mall and Metro Centre with more than 150 retail shops and merchants. Knott's Berry Farm, Medieval Times, Soak City USA and other attractions are just 10 minutes west of the hotel.